OTTAWA — Ontario’s government is working for the people to make commutes shorter, relieve congestion and build better transit faster. 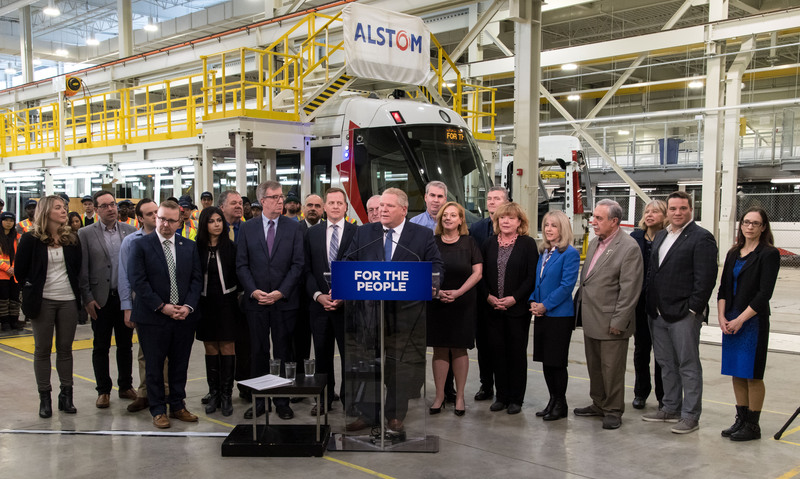 Today, Premier Doug Ford and Jeff Yurek, Minister of Transportation, announced that the Ontario government will provide the City of Ottawa with a maximum of $1.208 billion to build the Ottawa Stage 2 Light Rail Transit (LRT) project. The Trillium Line south extension is scheduled for completion in 2022, and the Confederation Line east and west extensions are scheduled for completion in 2024 and 2025, respectively. Through earlier investments, the Ontario government also committed up to $600 million toward the Ottawa Stage 1 LRT project. Stage 2 will create jobs and investment by generating a projected 27,000 person-years of employment and an economic impact of $5.6 billion. Stage 2 will reduce Ottawa’s greenhouse gas emissions by at least 110,000 tonnes by 2048. Click here to read the Release on the Government of Ontario’s website.